Lori Ashmore Peters Presents at Cancer Support Community TX | The Ashmore Law Firm, P.C. Planning for the Future – Estate Planning & Probate in Texas. 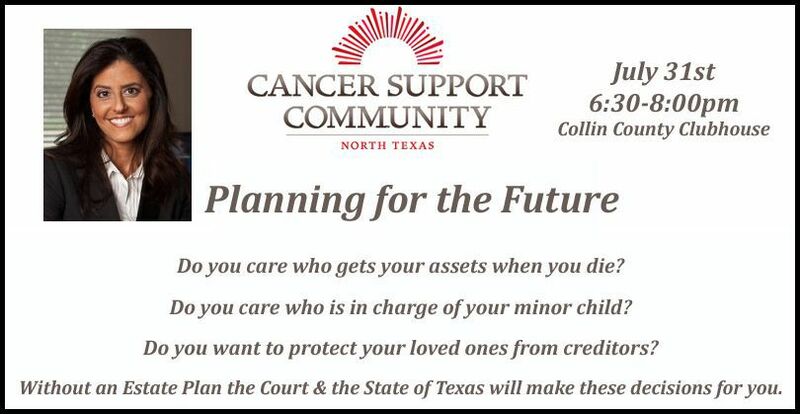 July 2014 - Lori Ashmore Peters from The Ashmore Law Firm presented at The Cancer Support Community Clubhouse Collin County on Planning for the Future - Estate Planning and Probate in Texas. 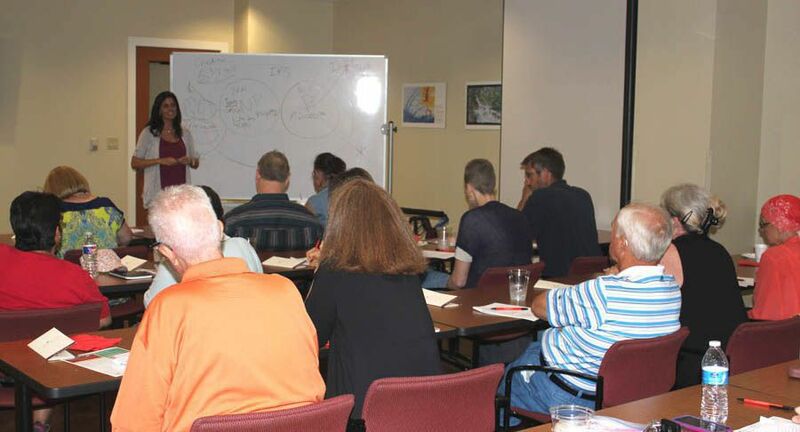 Mrs. Peter’s presentation covered the basics of the estate planning and probate process in Texas. Her presentation included information about common estate assets, community property and separate property, probate assets and non-probate assets, disability and incapacity planning documents, trusts & estate taxes. If you think that your group or organization could benefit from an educational presentation given by Lori Ashmore Peters, please contact Kristie Gray at 214.559.7202.